Having household robots is a wish that is often expressed. However, this is not easy to achieve. 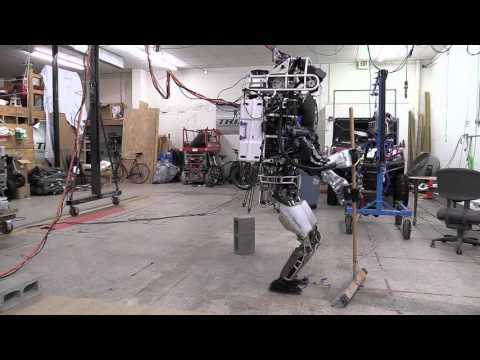 Boston Dynamics, did an experiment with its Atlas robot. In the video (source : IMHC Robotics) the robot has to clean up, sweep and vacuum as an experiment. For a robot, these are still difficult tasks. It is interesting that the commands were given via the user and the robot itself had to think about how to execute these commands. Atlas is a human-like robot with arms and legs, which moves forward in an upright position. The robot has 28 joints that move hydraulically and two hands, which are designed to use instruments that are intended for humans. The robot is primarily intended for research and rescue work.